News broke on Tuesday afternoon that Jibril Rajoub, in his role as President of the Palestine Football Association, has agreed a contract with Bolivian Manager Julio Cesar Baldivieso. 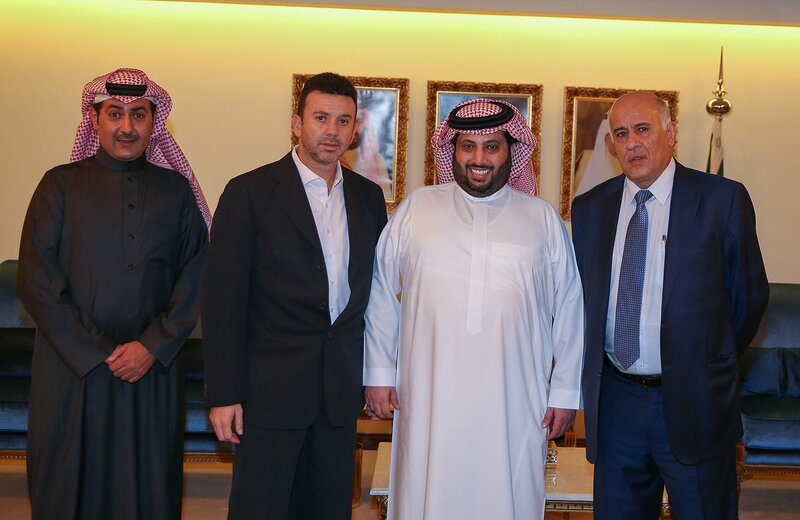 The agreement was signed in Riyadh, where Rajoub was one of several dignitaries attending a gala in honor of the Saudi national team's successful World Cup qualification. The details of the agreement are not clear, but it was announced that Turki Al-Sheikh in his role as President of the Islamic Solidarity Sports Federation, will finance the deal by paying $1 Million USD to pay for Baldivieso's contract as well as the contract of his staff. Turki Al-Sheikh has also held the post of Chairman of the Saudi General Sports Authority- an organization that oversees the Saudi Football Federation. It was the GSA that broke the news of the deal on its official twitter account. At the moment of writing, Football Palestine, can confirm that Abdel Nasser Barakat has not been informed as to his status with the PFA. If this is the end of Abdel Nasser Barakat's tenure with the Palestine national football team then he should go down as the greatest manager Palestine has ever produced. The statistics will also back his claim as the greatest manager in national team history. The mild mannered tactician has navigated a tough situation following a disastrous 2015 AFC Asian Cup. Barakat narrowly- and controversially- lost his first game at the helm, a 3-2 reverse to Saudi Arabia. The match was moved to the oil rich kingdom mere hours before kickoff and despite being down 2-0 and reeling Barakat found a way to equalize matters only to fall victim to a goal that was scored well past the four minutes of added time. After that, he marched Palestine on an undefeated run that kept them in the running for World Cup qualification until the penultimate match. Barakat suffered his second, and final loss, against UAE in Abu Dhabi. His side had taken the initiative in the first half but went down with the UAE scoring on the first attempt on goal just past the half an hour mark. Palestine were then the victims of bad luck as Australian referee Ben Williams, known for his controversial decisions, awarded a penalty to the UAE and sent off Mohammed Darwish moments later. That loss came on March 24th, 2016. Since then Palestine have gone 8-3-0 under Barakat's stewardship, including a perfect six wins out six in competitive fixtures. That run includes a first ever win over West Asian rivals Oman and blowout victories over Timor Leste (7-0), Maldives (3-0 & 8-1) and Bhutan (10-0) to go along with two 6-0 results against Malaysia. Their 100% record in 2017 (seven wins out of seven) has seen the national team skyrocket up the FIFA Rankings. 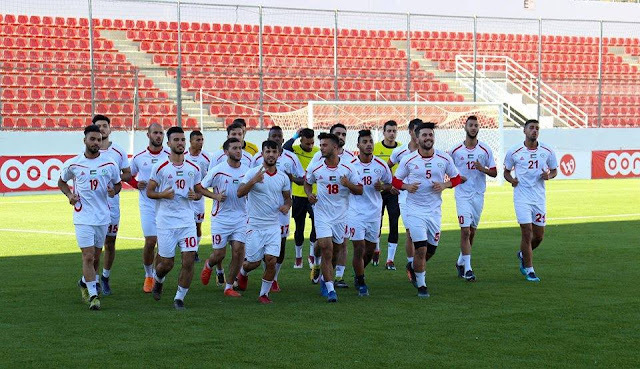 Palestine are expected to be ranked 80th (11th in Asia) when December's ranking is released later this week- an improvement of 51 places and a near doubling of ranking points. 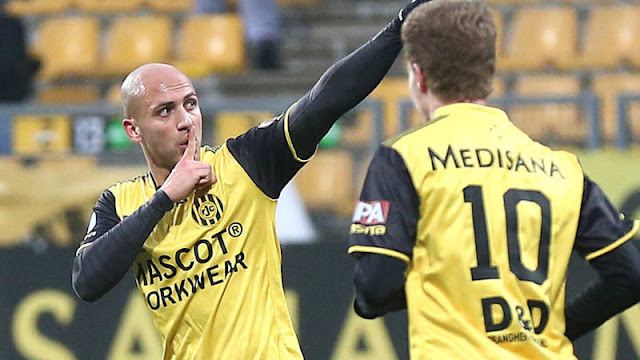 On the pitch, Barakat's teams have scored more goals (55) than any team that has come before them. They have conceded fewer goals (13, a rate of .68 per game) than any iteration of the national team. The former Al-Bireh winger also holds the record for highest win percentage (52.63%) and points per game (1.95). Only Jamal Mahmoud has recorded more wins (14) than Abdel Nasser Barakat (10) but the former had a tenure that was 15 games longer. Palestine were in a similar situation in 2014. Fresh off a maiden AFC Asian Cup qualification, former national team manager Jamal Mahmoud asked for the national team not to participate in a friendly tournament in the Philippines. A unfit and incomplete squad was hastily put together in early September. Jamal Mahmoud who was attending to his cancer stricken wife at the time, was summoned and the national team embarked on a fateful journey. Palestine lost 4-1 to Mynamar and then beat Chinese Taipei 7-3 in extra time. The results were a far cry from those of a few months ago but were understandable given the circumstances. Mahmoud was summoned once again to the West Bank to account for the performance of the squad but refused to travel- asking to be given special dispensation to stay with his sick wife in Jordan. In a fit of frustration, Jamal Mahmoud resigned and to his surprise the PFA accepted the resignation of the miracle worker that had guided Palestine to their first ever major tournament. Mahmoud then spent the next three years trying to get the PFA to pay the salary owed to him. The current Wehdat manager eventually won a case arbitrated by FIFA that saw him receive $100,000 USD in compensation and backpay. 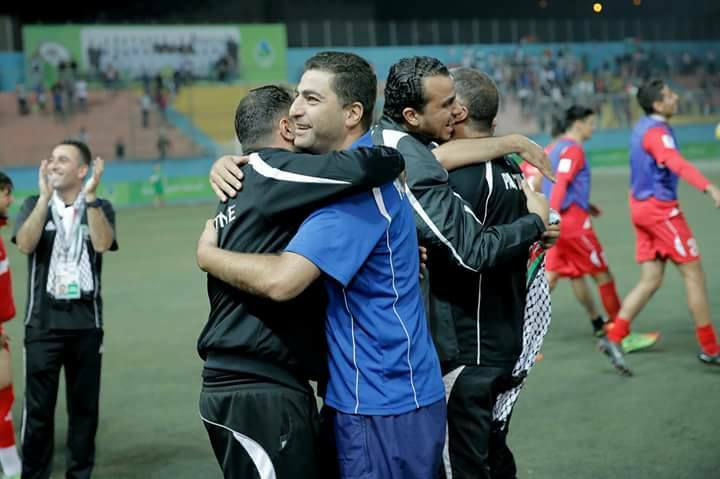 Remarkably, this isn't the first time Palestine has turned to other Football Associations for help in hiring a coach. When Jibril Rajoub first took the post of FA President in 2008 he turned to the Jordanian FA to find a coach who could lead the team at the 2008 WAFF Championship. That resulted in Ezzat Hamzeh who failed to win a game in his nine months as manager of the Palestine national team. He will forever be remembered as the man who played Majed Abu Sidu, a right back, as a holding midfielder and failing to even qualify for the 2010 AFC Challenge Cup which ended Palestine's hopes of qualifying for the 2011 AFC Asian Cup. The other managerial hire during Rajoub's tenure, was recommended by the Algerian FA. Moussa Bezzaz was a competent manager but could not identify the best talent to fill the national teams. Local fans grew frustrated at his absence in the stands of WBPL games. Supremely talented footballers identified by previous managers went years without being called up. Roberto Kettlun, Bruno Pesce, Edgardo Abdala, Mohammed Samara, Imad Zatara, Roberto Bishara, Omar Jarun, and Majed Abu Sidu were all at the peak of their careers but only the last three ever played under Franco-Algerian and that was in the final month of his two year tenure. When the PFA has tried to solicit the opinions or financial help from other associations the results have left fans underwhelmed. The best hires have come in times of absolute desperation when the FA had no choice but to look inwards. Jamal Mahmoud took the helm following a 7-0 destruction at the hands of Iran in a friendly, on the back of his reputation as the best manager in the WBPL. While Barakat inherited the team following their flameout in Australia due to his achievements with the Olympic side. If Baldivieso is indeed to take up the role of national team manager he will have big shoes to fill. The former Al-Nasr maestro will be under pressure from his first game in the role, inheriting a winning squad that has continued to amass talent and wins over the last two and half. A victory against Oman in Muscat come March is crucial to secure the confidence of his charges. He will also have to prove that his technical staff are an upgrade over goalkeeping coach Makram Dabdoub and fitness expert Noureddine Ould Ali. Both men are not household names by any stretch of the imagination but they are owed a debt of gratitude for their efforts under four different administrations. Their arrival coincided with an upturn in fortunes for the national team and both have made Palestine their home. 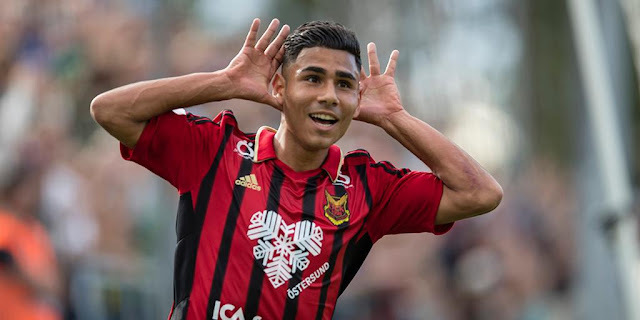 Baldivieso's native tongue is the national team's default second language and that might buy him some time and goodwill from the likes of Abdallah Jaber and Shadi Shaban who will be leaned on to communicate the tactician's ideas. In the interim he will have to work to improve his ability in English and/or Arabic. The former Bolivia midfielder's first task will be to monitor the fortunes of the Olympic Team in China next month and decide which youngsters to blood into the full national team. He will also have to keep tabs on a complex network of players based abroad in nearly a dozen nations while also monitoring games in the West Bank and Gaza. Baldivieso will also have to get used to the unique situation Palestine is in geopolitically; the realities of Israeli occupation will be a daily hindrance to his job. A job that has yet to be defined by his employers and a job that none of the fans want him for.